The lawsuits over public education funding that are currently taking shape will be the latest in a long history of court intervention in Texas' school finance system. But how much can the judiciary do to fix it? During the legislative session earlier this year, David Thompson received a message from a Republican lawmaker on the floor of the House. “Please sue us soon,” it read. The veteran school finance lawyer told the story to several dozen school leaders last weekend as he explained to them why he is poised to do just that — file litigation against the state over the way it funds its public schools. The involvement of courts, he said, could help provide political cover for lawmakers to make better policy. Though the prospect of school finance litigation arose even before the Legislature removed $4 billion in funding it owed Texas public schools and passed last-minute legislation distributing the cuts in a way that another school finance expert likened to a shotgun wedding, the details of such lawsuits are just now taking shape. At least two groups, one led by Thompson and another by the Equity Center, a nonprofit school finance lobbying and research organization, have been gathering plaintiffs for cases they expect to file this fall taking aim at what they say is the state’s crippled public education system. The lawsuits will be the latest in a longstanding history of court intervention. Since 1970, there have been seven major school finance lawsuits in the state. And Texas school districts are far from alone in turning to the courts to help sort out funding issues. 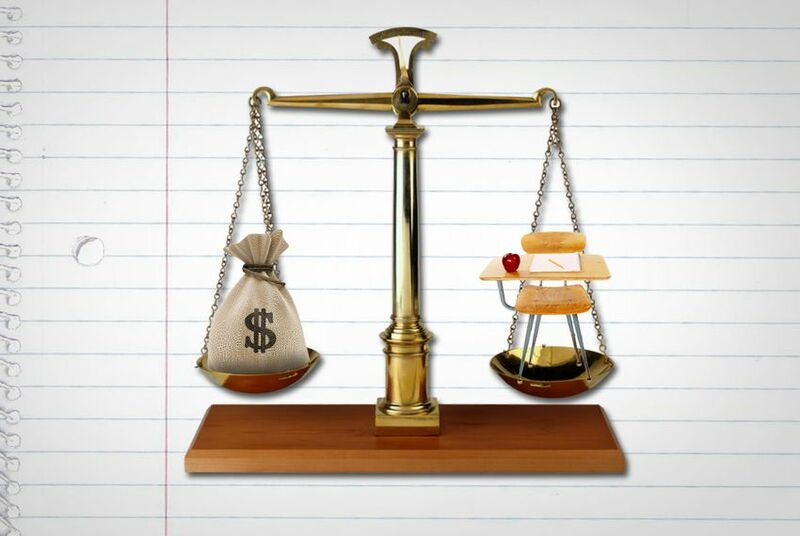 Eleven states, including Colorado, Connecticut and California currently have similar suits in progress and just five have never had a school finance legal challenge, according to the National Education Access Network, an organization that tracks school finance litigation. But as the prevalence of lawsuits demonstrates, there are limits to the judiciary’s ability to solve school finance problems. Even if a court rules that Texas’ system is unconstitutional, the responsibility will still ultimately lie with the Legislature to fix it. “It takes a lot of leadership in the Legislature to solve a problem of inequity without being forced to by the courts, because almost every district is richer than some other district,” said state Rep. Scott Hochberg, D-Houston. Legal wrangling over school finance tends to hinge on three issues: equity, adequacy and what’s called “meaningful discretion.” The Texas Constitution, like those of other states, requires that the state provide efficient and adequate funding for its public schools. It also says that school districts must have discretion in how they spend the money they receive from property taxes. The Equity Center’s lawsuit will focus on fairness, attacking the target revenue system established in 2006 when lawmakers reduced the property tax rate and guaranteed that districts would get no less than the amount they received per student at that time. That stopgap has since become permanent, resulting in an arbitrary funding scheme in which neighboring school districts can have as much as a $7,000 difference in state spending per student — and, the Equity Center will argue, is wildly inefficient. Many of the state’s 1,030 school districts, like its largest, Houston ISD, whose school board will take up the question at its meeting on Oct. 13, have yet to decide whether they will join a suit. But as of Tuesday, 139 districts — a mix of suburban, rural and inner-city schools of varying sizes, though they are primarily low- to middle-property wealth — have joined the Equity Center’s coalition of schools. In addition to schools, Executive Director Wayne Pierce said they also eventually plan to include taxpayers like business owners and parents in the suit as well. Historically, most school finance lawsuits have been over equity issues, said John Augenblick, the president of a Denver-based education consulting company and former director of the Education Finance Center at the Education Commission of the States. But as states and then the federal government under the No Child Left Behind Act began ratcheting up accountability measures, he said, schools began challenging states on the questions of adequacy. Thompson's group will focus primarily on adequacy and property tax issues, arguing that not only has the state failed to dedicate enough money to public education for schools to meet increasingly rigorous accountability standards, but that in doing so, it has not given local districts enough choice in how to spend or whether to raise property taxes — in effect, instituting an unconstitutional statewide property tax. “Educational standards are continuing to go up, but the revenue is flat-lined — and in this session it's gone down,” said Rickey Dailey, a spokesman for the Texas School Coalition, a group that represents “Chapter 41,” or property wealthy districts that send money back to the state through Robin Hood laws. It’s unclear how the court might resolve an adequacy issue because there’s no precedent for it in public education, Hochberg said. But in other areas, like mental health services, he said, courts have given specific direction to the state that it must spend more money. In Colorado, a trial has just concluded for the state’s first school funding suit based on adequacy. Augenblick said he did not have a sense for how the courts there may rule. In previous lawsuits based on equity issues, he said, they have largely found against the plaintiffs. But he cautioned against looking at how other state courts have ruled to shed light on the situation in Texas — or anywhere else.